Zimbabwean teachers on Sunday called off a strike they started on Feb. 5. 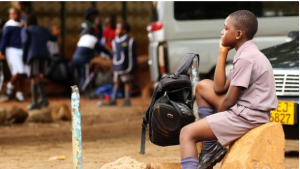 In a joint statement, the Zimbabwe Teachers Association (ZIMTA) and the Progressive Teachers Union of Zimbabwe (PTUZ) called on its members to report for duty starting Monday. “Our members who were on industrial action (strike) must, therefore, report for work commencing Monday the 11th of February 2019 and wait for further commands and direction,” the two unions said. The unions issued the statement after a meeting with education minister Paul Mavima in Harare to try and find a solution to their grievances. 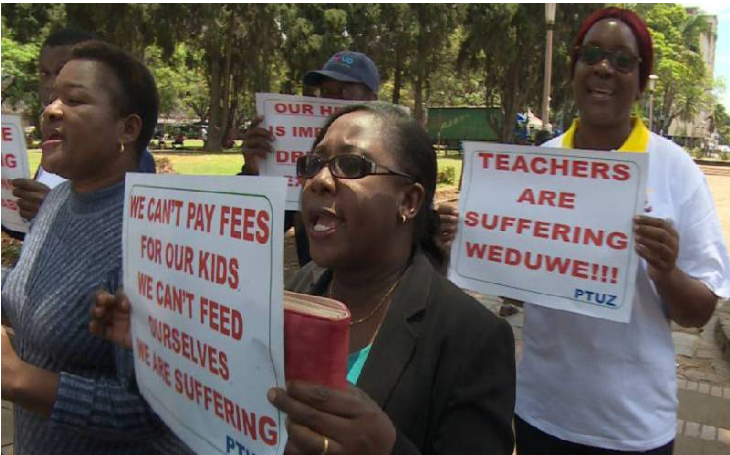 The teachers are demanding they be paid in U.S. dollars instead of Zimbabwean bond notes. Teachers also want improved working conditions and have sent a warning that they could walk off the job again if the government does not address their demands. “The employer is thus advised to take advantage of this détente to introspect and come up with a well thought-out, meaningful and long lasting solution on the salaries grievances,” the unions said. Zimbabwe’s teachers, like other public-sector workers, say U.S. dollar salaries and pay increases will help cushion them against soaring inflation and economic hardship.